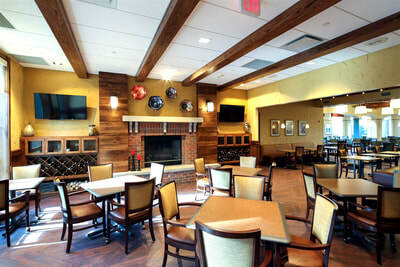 Walnut Court is an existing 30 year old two story residential building with 40 apartments located on the southwest section of the Covenant Village of Northbrook campus. 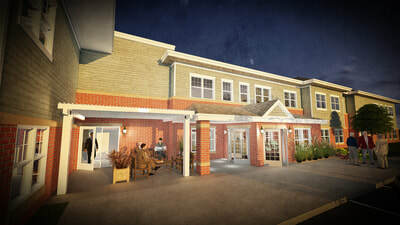 The building houses Independent Living residents, and includes a mix of studio, one and two bedroom apartments. Currently, there are few amenities located in or near Walnut Court, and it is very remote from the campus dining room and town center. 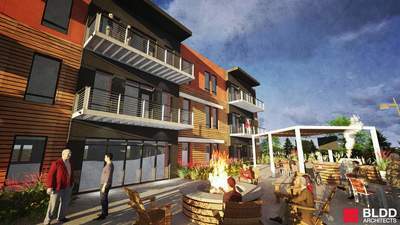 The new Catered Living program proposes to provide dining, activity, wellness and support spaces for Catered Living residents within close proximity of their apartments via the addition of a new building connected to Walnut Court. 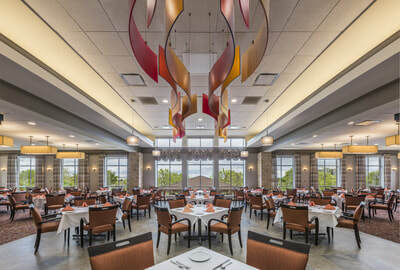 The new building will provide a new dining room and kitchen for freshly prepared food that also provides an attractive ‘destination dining’ venue open to other campus residents. Social activity, wellness and other support services will be provided in the new building. 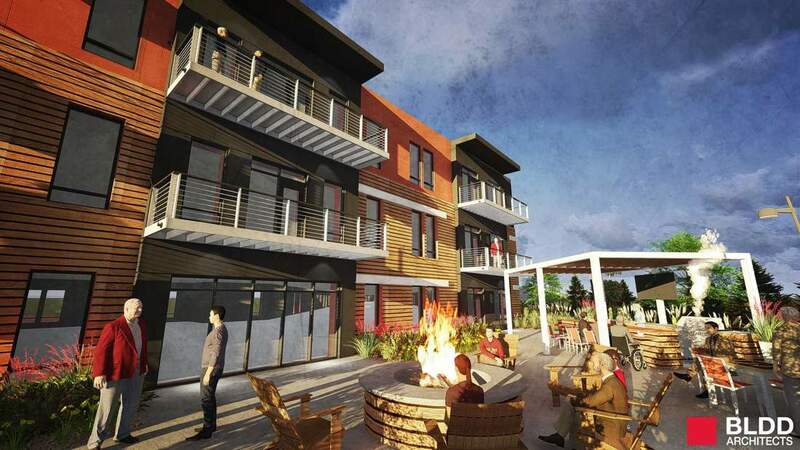 Outdoor amenities including a fire pit and activities such as bocce and pickle ball are also planned to draw campus interest and support a healthy lifestyle.